Two members of iconic Bay Area R&B band Tower of Power are recovering Friday after being struck by an Amtrak train Thursday night near Oakland's Jack London Square, according to a band spokesperson. The band on Thursday night identified the injured men as drummer David Garibaldi and current bassist Marc van Wageningen. The two musicians were responsive before being transported to Highland Hospital in Oakland. 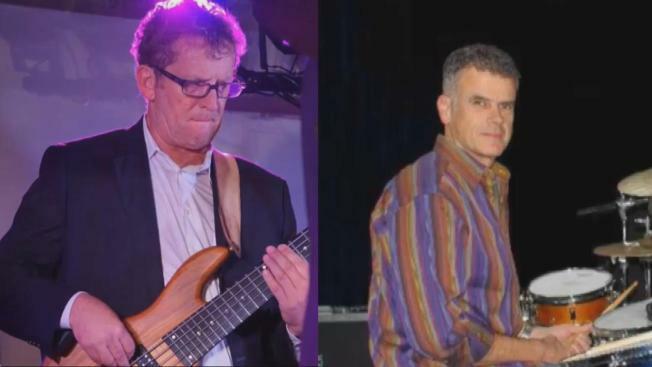 Emilio Castillo, the leader of Tower of Power, wrote on the band's Facebook page Friday morning that Garibaldi suffered swelling to his face and head, "but he was lucid and expected to recover." Van Wageningen was taken into surgery and doctors were able to control his internal bleeding, Castillo penned. Doctors, who are waiting for van Wageningen to stablize before conducting additional tests, are "cautiously optimistic" about the bassist's status. 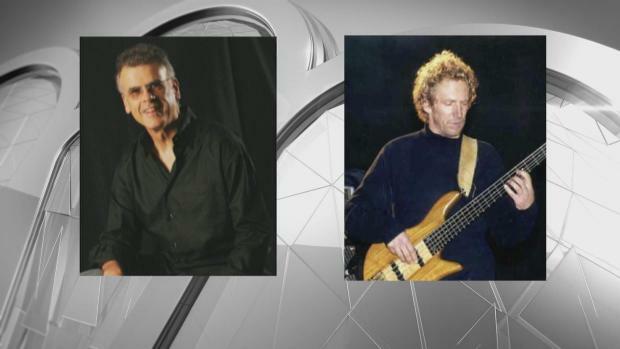 Two members of iconic Bay Area band Tower of Power were struck by an Amtrak train near Oakland's Jack London Square and taken to a hospital Thursday night, according to a band spokesperson. Kim Yonenaka reports. The incident was reported just before 8 p.m. in the area of Clay Street and Embarcadero, according to firefighters. Witnesses said the scene was confusing because one train passed by and the crossing signals went up and lights stopped flashing. They added that the two men may have assumed it was safe to cross. "We were maybe two feet from a train that was flying by," Hae-Sin Thomas said. "We could feel the rush of it, which is why we kind of leaned back and moved away from the train. The other two gentlemen were not so fortunate." The enduring band was founded in Oakland in 1968 and became known for its big, brassy sound blending funk and rock. Their highest-charting song is 1973's "So Very Hard to Go," but the band has continued to record and perform with a rotating line-up, and will turn 50 next year. Garibaldi joined Tower of Power as an original member in 1970, according to the band's website. Van Wageningen, a Holland native and permanent member of the Pete Escovedo Orchestra, is a stand-in musician for Tower of Power, according to Pete Escovedo's manager Victor Pamiroyan. Pamiroyan knows both men well, and he voiced nothing but high praise for the two musicians. "Great people," he said. "Two great guys that love music." Amtrak train 547, on the Capitol Corridor line that travels between Sacramento and San Jose, had 26 passengers onboard with no reported injuries to passengers or crew, Amtrak officials said. They added that the two pedestrians struck by the train were trespassing on the tracks. Amtrack did not address whether or not there was a malfunction with the crossing gate or lights. NBC Bay Area has learned railed companies are required by law to activate lights and crossing gates 20 seconds before a trains passes through an intersection. NBC Bay Area timed the warning system at Jack London Square and found a full 30 seconds pass before trains go by. Tower of Power canceled a concert they were slated to play at Yoshi's Thursday night. A GoFundMe page has been created for van Wageningen.